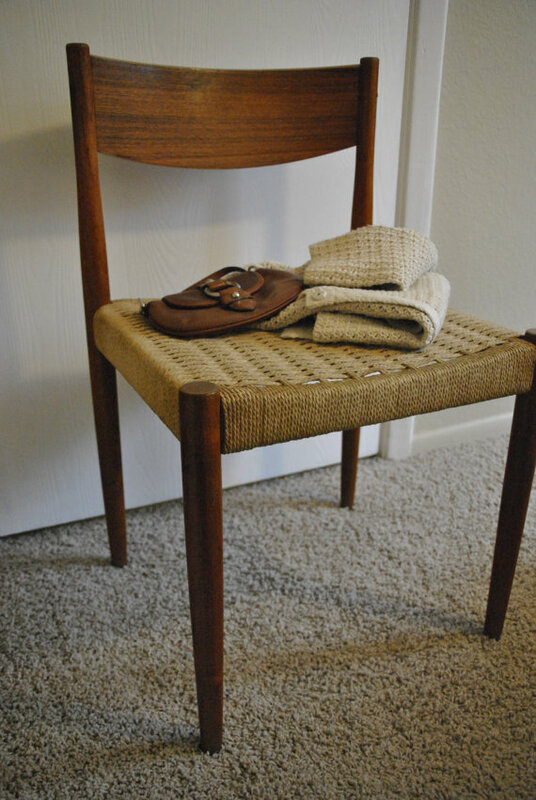 Beautiful teak chair with woven rush seats by Fritz Hansen. In good condition, with few minor dings or scratches. No ripping or stains to the woven rush fiber. This mid century modern piece is the perfect addition to any home with the rich teak color and sculptural design.